What Causes A Stye? What Is A Stye? A stye, also called a hordeolum, is a bacterial infection with abscess formation (or simply, a collection of pus, like a pimple) in the glands of the eyelid. The meibomian glands are structures in the eyelid that create oils, called meibum, for lubricating the surface of the eye, enhancing comfort. This meibum is the very outside layer of the tears and keeps your tears from evaporating. When the meibomian glands are blocked, this is called meibomian gland dysfunction, or MGD. If a meibomian gland is blocked and then becomes infected with an eyelid bump, then this is called a stye. There are two types of styes though, and a stye of the meibomian gland is called an internal hordeolum: This will appear deeper inside the oil glands and will be red and inflamed without the white top. The other type of stye is an external hordeolum and typically looks like a pimple that has “come to a head,” meaning it has a white top and is ready to pop (But please don't!). This is caused by a blockage of the gland of Zeis or Moll. The glands of Zeis and Moll service the eyelashes, secreting oil onto them, keeping them clean and moisturized. I want to start out this section by discussing direct application of essential oils to your eyelids. We have seen many patients and read a lot of articles that discuss putting essential oils directly on the eyelids and we STRONGLY RECOMMEND NOT doing this. Remember than an essential oil is a heavily concentrated oil of a specific plant and some of these plants that we use are toxic to humans, like tea tree oil. Also, when putting an essential oil on your eyelid, some is bound to get into the eye, which can cause burning and irritation. With that being said, when using an essential oil close to the eye, make sure it is heavily diluted or mixed, or just purchase a commercially available mixed essential oil that is made for the part of the body that you are trying to heal (more on this later). Tea tree essential oil has known antibacterial properties that work well to kill off microorganisms on the skin around the eyelids. It's imperative to keep your facial and eyelid skin clean while treating a stye, because more bacteria will only exacerbate the issue. Eye makeup clogs all the glands inside and outside of your eyelids. When you have an active infection from a stye, LIMIT your eye makeup use or don't wear any eye makeup at all to heal even faster. Above, we discussed using a premixed essential oil solution instead of applying essential oil directly to the eyelid. 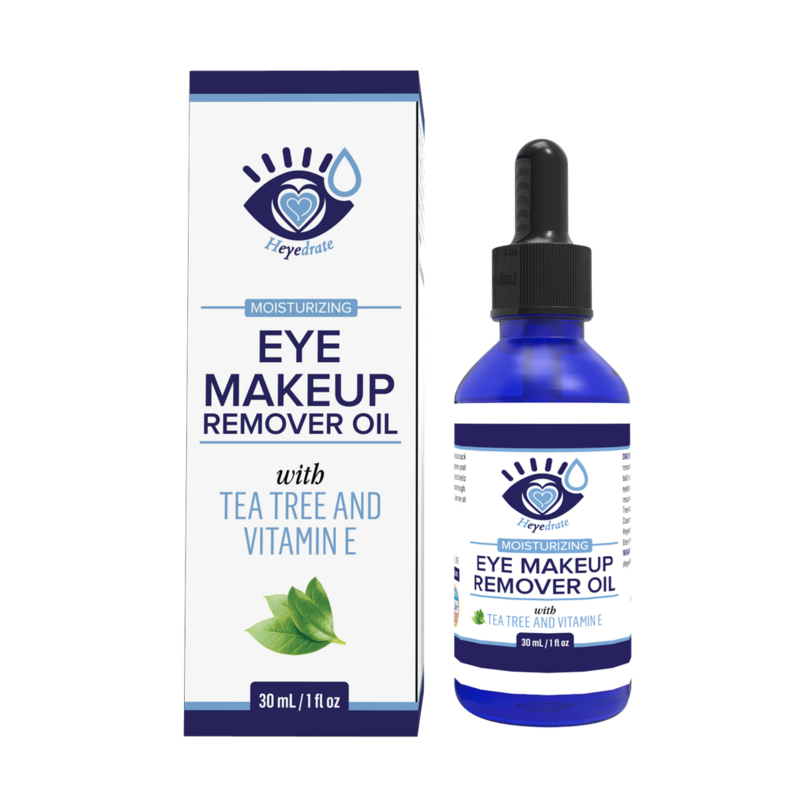 This eye makeup remover is a great mix for moisturizing the eyelids and eyelashes, while at the same time removing all that pesky waterproof eye makeup, unclogging the glands and pores. To use as an eye makeup remover, simply drop 3-5 drops onto a cotton round or a cotton ball and wipe gently back and forth, then up and down, alternating between the two until all eye makeup is removed. If using as a general oil cleanser (which works great, by the way), then drop 3-5 drops onto a cotton round or cotton ball and wipe gently back and forth. 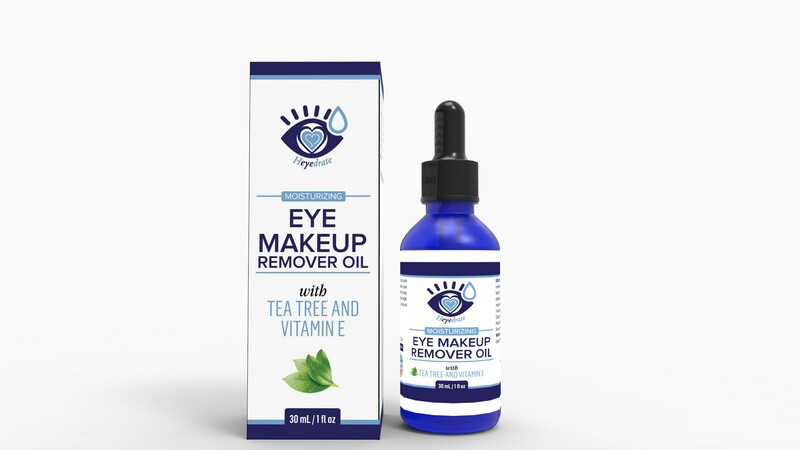 We love this eye makeup remover, because it contains only 4 ingredients: organic grapeseed oil, organic jojoba oil, Vitamin E (helps with wrinkles), and tea tree essential oil. Organic grapeseed oil helps decrease signs of aging, decreases dry skin, and decreases discoloration of your skin. Grapeseed oil also helps moisturize your skin, heal blemishes, lighten skin, tighten pores, reduce scar appearance, and removes eye makeup. Vitamin E battles free radicals and helps reduce wrinkle formation. Check price and reviews on Amazon by clicking here! To use, simply lather the soap between wet hands and apply in circular motions to your wet face, taking care to close the eyes tightly and rinse them well afterward. 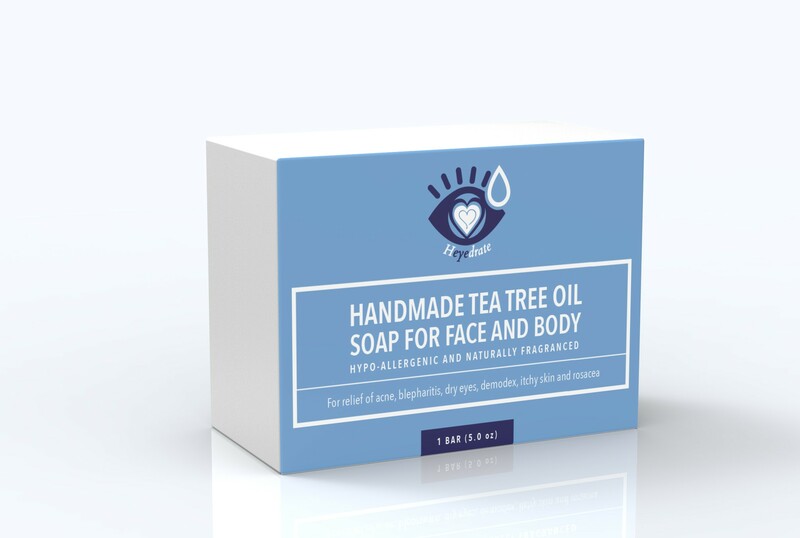 The tea tree oil soap should be used twice per day while the stye is active and can be used once to twice per day for maintenance and to prevent recurrence of styes. 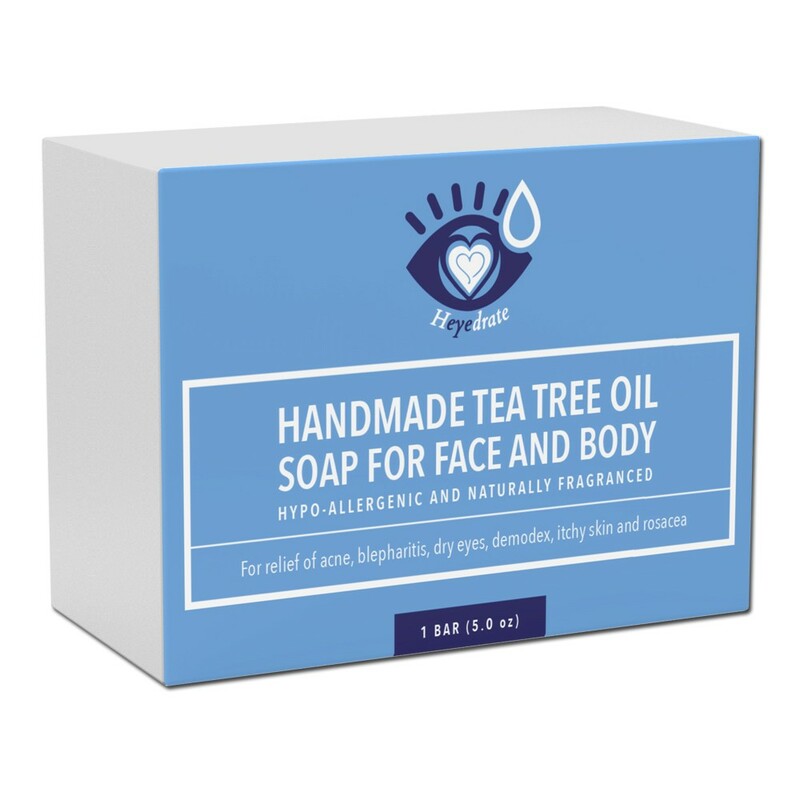 We love this soap because it only contains 5 ingredients: organic green tea, organic olive oil, organic coconut oil, organic raw shea butter, and tea tree essential oil. Organic Coconut Oil has anti-inflammatory effects which assist in reducing swelling. It also has antibacterial properties which are ideal for relieving and healing the stye pain, as styes are caused by bacteria. Organic green tea also has anti-inflammatory properties which help relieve redness and pain on the skin of the eyelid area. Rubbing your eyes can spread the bacteria that caused the stye in the first place. leading to a bigger infection or a complete infection of the eyelid, which is called preseptal cellulitis. Again, make sure to remove ALL eye makeup with a tea tree oil based eye makeup remover or do not wear eye makeup during the time of an active infection. We can't stress this enough, as SO many patients have styes due to sleeping in their eye makeup. This is a simple way to reduce the swelling of a stye and possibly allow the stye to drain. The heat from a warm compress will heat up the compacted oil and hopefully allow the oils to disperse more easily. 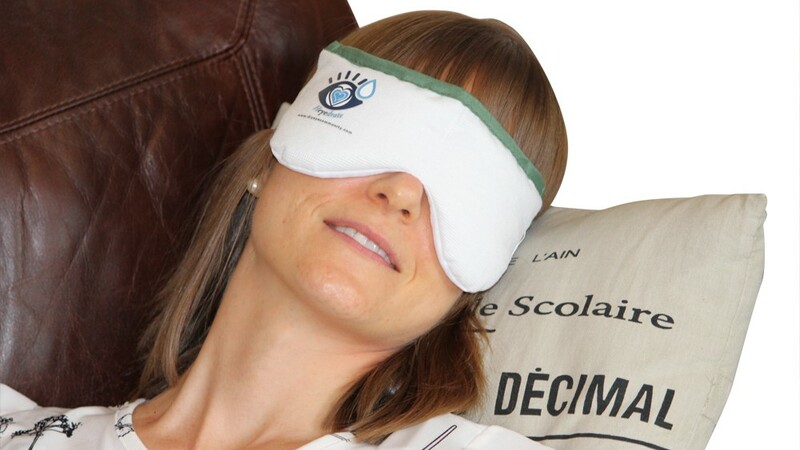 To use a warm compress eye mask, simply microwave the mask on high for 20 seconds, test the temperature on the inside of your wrist, and then place over your closed eyelids for 15-20 minutes. Sit back and relax! You'll want to do this at least twice per day while you actively have a stye and preferably twice per day for maintenance. With all of the bacteria that naturally live on our eyelids and skin, it is so important that those who are prone to styes always keep their eyelids clean. 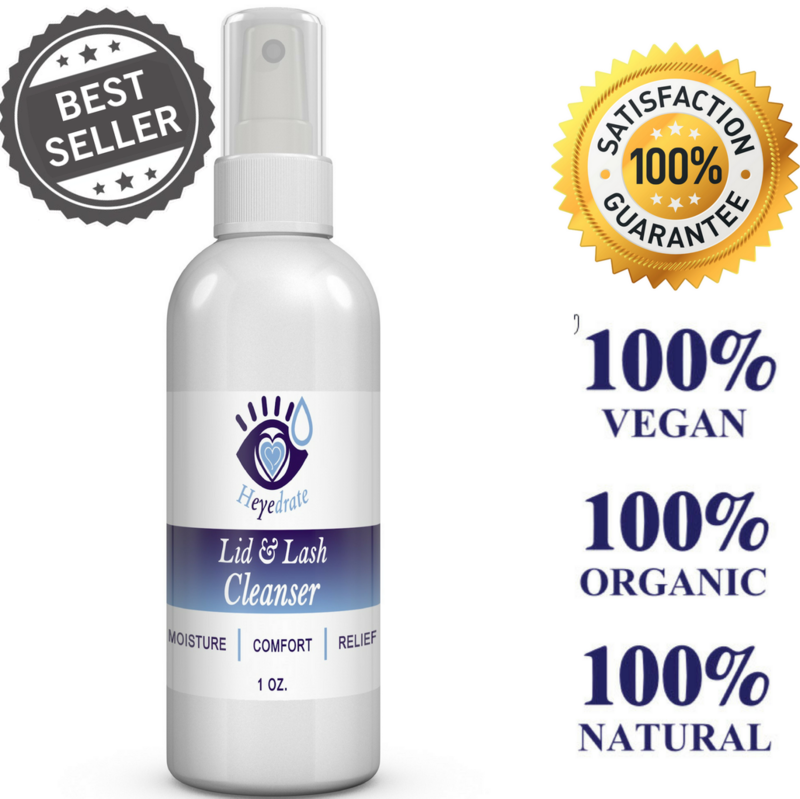 If you suffer from eyelid irritations, bumps, or red eyelids, cleaning your eyelids and eyelashes with an effective eyelid cleanser is the best way to ensure that contaminants do not lead to difficult-to-treat eyelid issues. A hypochlorous-based cleanser is great because it's super gentle and requires no scrubbing. If you don't like cotton balls, you can simply spray it on your closed eyelids and go. So simple! Click here to check reviews and purchase on Amazon. Gently massage the eyelid area after you remove your warm compress. This will help break down the hardened oil that has been accumulating as a result of the blocked gland and stye. Just ensure that this process is not painful for you. If it is, don't do it! Click here for a video with further instruction on eyelid massage. 6. Never, EVER, Try to Pop a Stye. A stye is in an area of the face that is called the "Triangle of Death," which can be just as dangerous as it sounds. Since a stye is an active bacterial infection, if you try to pop it and the infection goes in deeper, instead of expressing out (like a pimple), then it can cause a deeper infection in the eyelid, called preseptal cellulitis. Alternatively, it can cause an infection of the eye, called orbital cellulitis, or even worse, an infection in the brain, called meningitis, which can lead to death. Contacts increase the bacteria count in your eyelids, because it is a piece of plastic in your eye disrupting the tear film. If you have a stye, not wearing contact lenses will help aid in the healing process. As stated above, a stye is an active infection that should be looked at. You may need an antibiotic, especially if the above options are not working for you. It is always best to get a professional opinion on what to do for your stye. 3. Use a warm compress twice daily. 4. Spray a hypochlorous acid eyelid cleanser on at least twice daily (up to four times). 8. Seek help from a profession.